A partnership with the Palo Alto International Film Festival helped Kaazing and AOR Grayling Connecting Point raise awareness of the company's new live data communication platform for web and mobile. 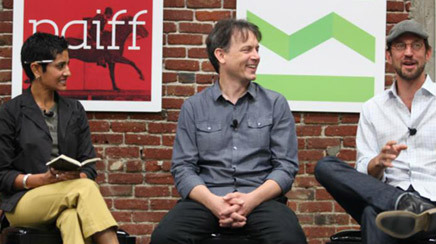 A partnership with the Palo Alto International Film Festival (PAIFF) helped Kaazing and AOR Grayling Connecting Point raise awareness of the company's new live data communication platform for web and mobile, the WebSocket Gateway 3.5 edition. Using the technology, Kaazing built an application called Instant Film Feedback (IFF) that allowed festival audiences to use mobile devices to vote for their favorite movie, track voting results, and participate in trivia challenges – all in real time. Media relations, social media outreach, and activities during the three-day festival drove awareness. Sparrer and his team started pitching celebrity and entertainment reporters, local news outlets, business media, and communications and tech media and bloggers in early September. PAIFF attendees used the app to vote for their favorite films and submit answers to trivia questions projected on theater screens. Kaazing executives and employees demonstrated the app and talked to people about other applications of the technology in a booth at the festival. Kaazing's Twitter handle and the team's personal Twitter handles were used to promote the festival and post live updates during it. The agency circulated a promotional video created by PAIFF to media and influencers, and posted it on Kaazing's YouTube channel. PAIFF also promoted Kaazing and the app on its Facebook and Twitter properties. A post-festival press release about the audience favorite award and the technology's role in voting targeted entertainment and tech media. Donnelly reports 50 leads valued at $50,000 each were generated. They included the Academy Awards, Dancing with the Stars, and film festivals in Cannes, Toronto, and Palm Springs, FL. More than 700 stories ran in outlets such as Variety, Chicago Tribune, and KRON-TV. The trivia challenge drew more than 2,000 registrants and more than 10,000 answers. More than 1,200 favorite film votes were cast. The team is preparing for a large partnership announcement this spring and will continue to promote vertical market applications of the technology.